Eldorado Biofuels is a privately held company, headquartered in Santa Fe, New Mexico, focusing on treating industrial waste water, and the production of renewable, algae derived biofuel as an alternative, domestically produced, clean transportation energy. Eldorado Biofuels growing network of private, government and industry partnerships as well as the expanding national & international interests, continues to validate our business concept. The increasing demand for the world’s diminishing petroleum supplies combined with the climate change derived from greenhouse gas emissions, makes the development of commercial, cost efficient production technologies for renewable transportation fuels an absolute requirement. A variety of approaches are currently under way to accomplish the production of biofuels from components of biomass. One of the most advantageous however, has been identified as being the production of biodiesel derived from algal biomass. Algae as a biofuel feedstock holds the promise of delivering over 5000 gal/acre/year of biodiesel compared to soy beans, currently used for biodiesel production, which only produce up to 200 gal/acre/year. In order to grow algae commercially large amounts of land, sunshine, CO2, nutrients and water are needed. Water is typically the most difficult to provide ingredient in this equation. Eldorado Biofuels model is based on the abundance of industrial waste water in the oil and gas fields of the southwest. This water is rich in nutrients, necessary for efficient algae growth. Eldorado Biofuels offers a unique water treatment solution, capable of removing unwanted toxins while preserving valuable nutrients, making it perfectly suitable for algae cultivation. Beside the water preparation we have carefully selected and cultivated algae strains that thrive in this particular environment, hence being an efficient biofuel feedstock. Eldorado Biofuels’ water treatment and algae cultivation process sets higher industry standards towards providing sustainable clean energy and achieving energy independence. Eldorado Biofuels is in the process of setting up a demonstration facility, which will showcase our model for industrial waste water treatment and the commercialization of algae derived biofuel production. 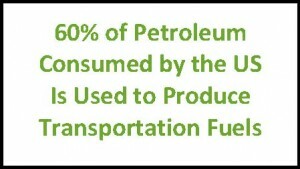 Biofuel is then converted into biodiesel and commercial jet fuel, and can be immediately plugged into existing transportation energy infrastructures while realizing environmental benefits. Eldorado Biofuels’ demonstration facility is located in Jal, New Mexico. Jal is located in the south east corner of New Mexico, an area identified as one of the preferred locations for outdoor algae growth by the Department of Energy, due to its specific climate conditions (>2800 hour annual sunshine, >55F annual average temp., >200 freeze-free days). Through our partnership with the NAABB and LANL and other leaders in the area of biochemical research and development we were able to facilitate the development and refining process of water treatment, algae cultivation and biofuels conversion technologies over that last 4 years. Eldorado Biofuels’ model is being continually improved to achieve as close to 100% industrial re-use of all ingoing materials as possible. During the process we recycle a number of industrial waste materials, including industrial waste water produced by the oil and gas industry, CO2, and waste streams of regional dairy farms, and are converting them for alternative industrial uses. Our biofuels are innovative, environmentally friendly, low carbon and sustainable, while having a beneficial effect on the environment, including consuming unwanted greenhouse gases. Eldorado Biofuels mission is to significantly contributing to the US’s national effort of replacing hundreds of millions of barrels of imported petroleum with clean, renewable, domestically produced transportation biofuel. We are helping to satisfy the increased demand for energy security and energy independence while investing into and growing our local economies. The development of algae farms has a considerable long-term economic effect on rural communities, where the oil fields exist and the jobs are needed most. Economist Dr. James Richardson of Texas A&M estimates that for every 1,000 acre algae farm 250 jobs will be created during construction, followed by 42 permanent positions, and 150 jobs elsewhere in the community. Please contact us in order to schedule a visit of our facility or to discuss how we can provide water treatment solutions for your business.